Take A Look! 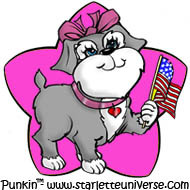 Starlettes Fan Club on Facebook! Roses are red, some say they're scarlet! 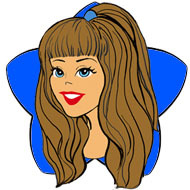 Click on this link and connect with a Starlette! Need Homework Help? Email Bekka! The Starlettes' genius in residence knows more than most Presidents! and Eva's evil is never done! 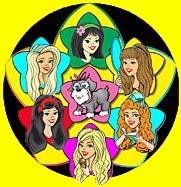 Official Website of America's Sweet 'Arts...the Famed Starlettes! NEW: From NADA to PRADA! Starlettes go fashion crazy  links galore! The Starlettes Universe has just begun!